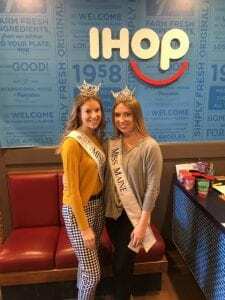 On March 12th, IHOP and The Barbara Bush Children’s Hospital celebrated IHOP Free Pancake Day! 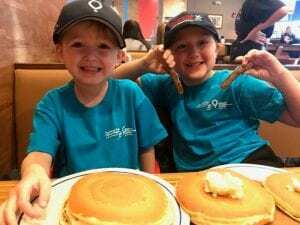 On IHOP Free Pancake Day customers were able to get a free stack of pancakes in exchange for a donation to The Barbara Bush Children’s Hospital! Team BBCH would like to thank everyone that made IHOP Free Pancake Day such a delicious success. We were happily joined by Miss Maine, Miss Maine’s Outstanding Teen, 2019 BBCH Champion Brayden and big brother Carter. To our local IHOP locations in Auburn, Augusta, Saco, South Portland and their wonderful staff – thank you! Because of you more smiles are being made possible. Until next year!